Following the defeat of the Government’s deeply flawed Brexit deal in Parliament by a record margin of 230 votes, the Prime Minister set out the Government’s response on 21 January 2019. This included precious little detail on how the Government seeks to proceed, other than that “conversations” would be held on next steps and that the Government would then “take the conclusions” of this back to the EU. The Government also laid a statement in neutral terms stating that it has complied with the requirements under Section 13 of the EU (Withdrawal) Act. Parliament debated and voted on several amendments that were tabled to this statement on Tuesday 29 January 2019. The Prime Minister said in the House of Commons that she will seek to re-open negotiations with the EU. After two years of failed negotiations the Prime Minister still has no credible plan to deliver a Brexit deal that can command the support of Parliament and protect jobs and the economy. Labour’s frontbench amendment (A) was taken first. The amendment instructed the Government to rule out a disastrous no-deal and give Parliament time to consider and vote on these options. Labour set out two credible options to break the impasse and prevent no-deal, these were: negotiating an alternative Brexit deal that delivers a close economic relationship with the EU in order to protect jobs, living standards and workers’ rights and legislating to hold a public vote on the UK’s future relationship with the European Union. This builds on the motion passed at Labour conference in September 2018. It does not specify a preference for either option. Rather, it seeks to narrow down the credible options to prevent no-deal and to facilitate an open and honest debate in Parliament about how to proceed. The Amendment was defeated by 31 votes (Ayes: 296, Noes: 327). Labour has been clear that no-deal would be the worst possible outcome and that we will work across Parliament to prevent this. Amendment O called for an extension of Article 50, ruled out a no-deal Brexit and emphasised the role of the UK nations in the Brexit process. The Amendment was defeated by 288 votes (Ayes: 39, Noes: 327). 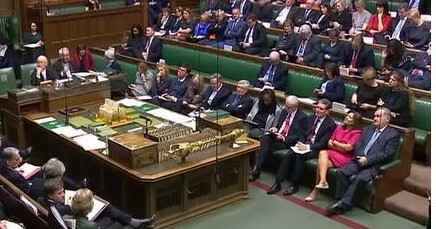 Amendment G would have required the Government to make time for Parliament to discuss a range of alternatives to the Prime Minister’s Brexit deal on six full days before 26 March 2019. The Amendment was defeated by 20 votes (Ayes: 301, Noes: 321). Amendment J would have required the Government to ask the EU to postpone the UK’s exit-day (without specifying for how long). The Amendment was defeated by 32 votes (Ayes: 290, Noes: 322). I voted in favour of Amendment I which “rejects the United Kingdom leaving the European Union without a Withdrawal Agreement and a Framework for the Future Relationship.” The amendment was passed by 8 votes (Ayes: 318, Noes: 310). I voted against Amendment N which called for Parliament to require the backstop to be replaced with “alternative arrangements to avoid a hard border”. This amendment backed by the Government fundamentally undermines the deal the Prime Minister has spent two years negotiating. The amendment was passed by 16 votes (Ayes: 317, Noes: 301). The successful amendments are not binding but rather put pressure on the Government to follow their direction. Since the House emphatically voted to reject the no-deal option that the Prime Minister was supporting, the Leader of the Opposition met with the Prime Minister. Last night’s vote must now pave the way for a sensible Brexit solution to be found, which means genuine talks based on the kind of deal that can pass through parliament, bring leave and remain voters together and crucially be negotiated with the EU. The building blocks of our alternative plan – a customs union with a U.K. say, a strong single market relationship and a cast iron guarantee on workers’ rights, consumer standards and environmental protections – meet all three objectives.